Like U.S. Christians, many U.S. Muslims are highly religious. Fully 69% say that religion is very important in their lives, compared with 70% of Christians. 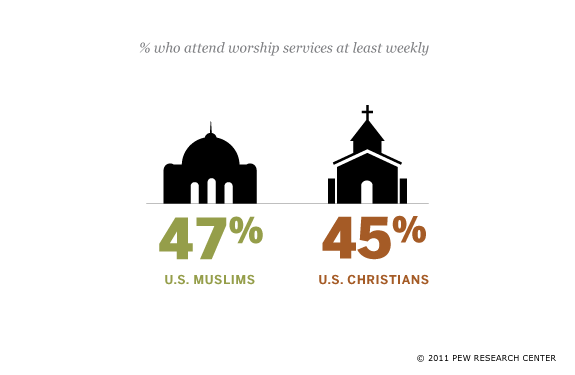 And almost half of both U.S. Muslims and U.S. Christians report attending worship services at least weekly.